FRSC to prosecute Abia speaker’s wife over shooting of officials – Royal Times of Nigeria. Corps Marshal, Federal Road Safety Corps, Dr. Boboye Oyeyemi on Tuesday said the corps would prosecute wife of the Speaker, Abia State House of Assembly, Mrs. Victoria Kalu. According to Oyeyemi, Kalu will be prosecuted for alleged traffic offence and ordering the shooting of some road marshals. He added that at least four different assaults were visited on officials of the FRSC in less than one week. Two FRSC officials were reportedly shot by policemen attached to the Speaker of the Abia State House of Assembly, Chikwendu Kalu. They were said to have stopped the speaker’s wife vehicle along the Umuikaa/Aba-Port Harcourt Expressway, for not wearing seat belt. The corps marshal said the speaker’s wife would not be spared either. Oyeyemi said, “The case is not closed yet. I’ll prosecute the wife of the speaker,”. 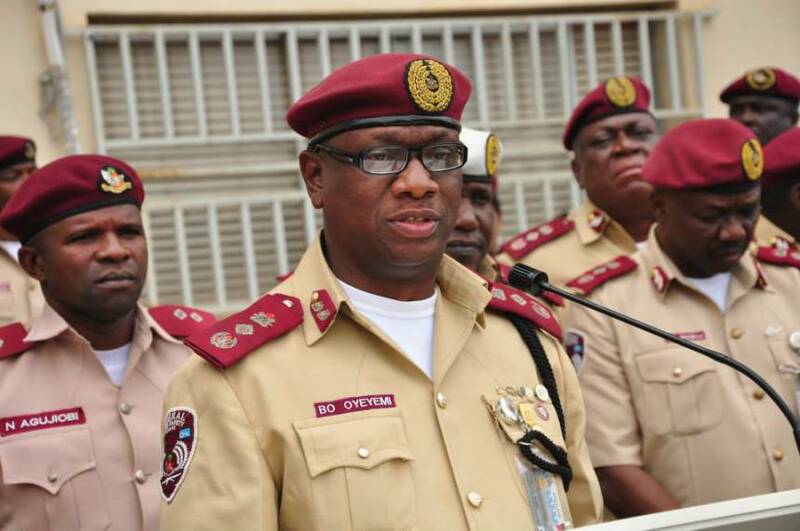 A statement by the Corps Public Education Officer, FRSC, Bisi Kazeem, quoted the corps marshal as saying that a day before the Abia shooting, some members of the National Union of Road Transport Workers had challenged the FRSC officials on patrol of Kiyawa-Dutse Road in Jigawa State for daring to check their vehicles for excessive overloading and installation of the speed limiting devices. He said, “They not only set the FRSC patrol vehicle ablaze but also badly damaged another vehicle. The FRSC office was destroyed by the rampaging NURTW officials. The Jigawa incident resulted in fatality as one person was killed and several others injured,”.